One of the key features or main selling points of the recently-announced Sony Ericsson Xperia Arc is its strong imaging capabilities. 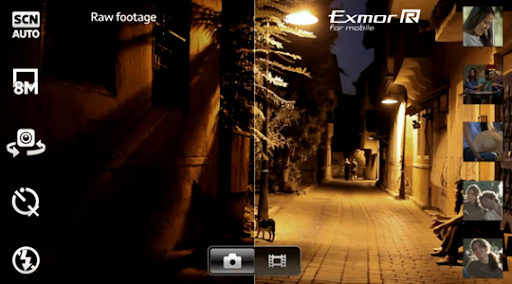 Xperia Arc's camera features the combination of the increased sensitivity gained by Sony Exmor R mobile sensor technology and the powerful f/2.4 aperture of its lens making it possible for users to shoot photos in low light conditions -- something that previously wasn't achievable using a smartphone camera. I'm just glad Sony Ericsson is becoming more aggressive again. I think Xperia Arc will remind a lot of SE fans why they fell in love with the brand in the first place.